You’re a first-time Kickstarter creator, and one of your biggest concerns is how to make a splash on Day 1. You’re not alone–we’ve all been there. I believe that the first few days of a campaign are hugely important. If a project starts off strong, the perception from subsequent backers is that the project is worth their attention. The opposite can happen if the project starts off slowly. There are lots of ways to increase the chances of an early boost. However, one thing I’d recommend that you keep in mind is that your campaign is longer than 1-2 days. 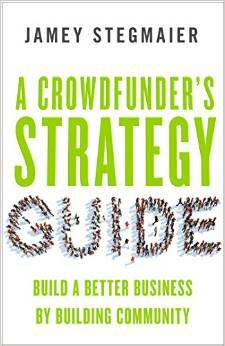 Does your Day 1 strategy discourage potential backers who discover the project after that day? Here’s a list of strategies and incentives, ranging from most organic to most likely to turn off “late” backers. Some of these can be used in combination with each other. Build a community of eager backers in advance and present them with an appealing product/project. No gimmicks, tactics, or tricks. Just good old fashioned hard work, careful planning, and solid execution. A recent example of this is Lucidity. Send individual invitations to each of your friends and family members. This is how I spent the first two days of my first board game project, Viticulture. I didn’t send a mass e-mail; rather, I wrote a special e-mail to everyone I knew who might find something interesting in the project. Add a free bonus to every copy of the game if the project funds within a set amount of time. On Trickerion, if the project was successfully funded in the first week, every copy of the game would get 4 new roles (twice the number as the original). This provided a huge incentive for people to back now instead of later and to share the project with friends. It fostered a sense of community among all backers instead of separating some backers from the others. Offer a soft benefit to early backers. A “soft benefit” is something intangible (i.e., not an item or a discount). An example of this would be a backer toast for the Day 1 backers or, as Clans of Caledonia did, a higher money-back guarantee for those early backers. Create an early-bird pricing tier. An example of this is a project who offers Day 1 backers or the first 100 backers a lower price than all other backers. Based on a survey I ran a few months ago, 49% of people who discover a project after they’ve missed out on an early-bird price are significantly less likely to back it. Which of these options appeals to you the most as a creator or a backer? Are there other strategies or examples I missed? Also, thanks to Peter S. for suggesting this topic. I am not a fan of early birds myself, but yes as a 1st time creator I used them to secure funding. Maybe an option without EB would result in higher funding, but I didn’t have retail or mass production in mind then. Building community slow with modest campaigns, proving that promise-and-deliver is a certainty and having satisfied backers rather that a long list of potential backers who happened to like my FB or BGG page, seems better to me. That said, 2, 4 and 6 are easier, whereas I give my all to 1. How about a “funding bird” option? Some creators offer a pledge level till funding goal is reached, then lock it and create another one higher. Thanks for your comment, Harry. I would put the “funding bird” in category 6 (the twist on it is the timing, though the results and the effects are the same as #6). Wouldn’t you *hate* it if you were backer #6443? Nr 3 is a brilliant option – makes everyone happy! That is one thing worth adding. for #4, galaxy of trian offered free coins for certain backers during certain times. Always worth reading these lessons! I try to do my homeworks and read as many sources I can, but for our first campaign we preferred to avoid any kind of early-bird bonus to not discourage any late backer. This backfired in a very weak launch day (and launching the same day of Lord of Hellas and Rise of Tribes was definitely the final nail), and we ended canceling it. I’m not myself a fan of early-bird tiers, but I see how they can really help, especially first-time creators. The biggest problem I have with them as a creator is the cost for even simple stuff that has to be produced in a very small quantity (especially for a low-price game like our, ~12€) and the nightmares-inducing fulfillment, especially with add-ons and stuff like that. That said, I’ll make sure to explore this option for the relaunch! The other problem I see with number 3 is that if the bonus goal isn’t met in time, that could discourage even the people that already backed the game, and therefore have a lot of cancelled pledges during the course of the campaign. Thanks for your comment, Ennio, and I’m sorry your campaign didn’t get off to a strong start. Do you think the lack of a Day 1 incentive was the only factor? I see it as a relevant factor, but there were definitely other problems, probably even more important. Above all, we’ve tried to gather some visibility through ads, giveaways and previews in the weeks/months before the campaign, but couldn’t really build any kind of community. And this was most certainly a fatal flaw. As I said we launched in a day with an extremely strong competition, but a solid fanbase might have saved us. That’s true, it’s all in the chosen timeframe as one week is pretty safe. Another interesting, although very limited one, is the Strategist Tier that Chip Theory Games offers. On their current campaign for Triplock, only 10 were offered at $500 (though, strangely, for a while it was showing 11 backers at that level). This Tier gets you a free copy (plus shipping) of the base version of all following CTG kickstarters. I believe this tier sold out within minutes of their campaign launching. On one hand, it feels like a very exclusive EB offer – I’ve seen posts from some backers who’ve been trying to nab one for several campaigns now. But also, lets a few fans of your brand pre-commit (as it were) to future campaigns, by pre-paying during the current campaign. Tyler: Thanks for sharing! In a broader way, this applies to any limited rewards–they can provide an early incentive for eager backers. I wonder why CTG limits it to 10 rewards. Surely they wouldn’t mind having more backers who are willing to invest in their future. Perhaps it’s a scarcity play. Strategies 1 and 2, as other have said, are great ways to get off on the right foot from Day 1. Of course, building a base of followers takes a lot time and effort….but the payoff is worth the extra energy. We’re launching Kingdoms Lawn Game in two weeks on July 6th. After speaking with our fan base, we’re entertaining the idea doing a strategy similar to # 5 by offering a “special edition” numbered bag for the first 200 backers (we need 2,000 backers). So backer 1 would get a bag with a number “1” stitched on the side. Likewise, backer 200 would get a number “200” stitched on the side. I would also sign and document the bag number in the rule-book. The only difference between the 200 special number bags vs the other backer bags is the stitched number….though the value, to me and the backers is priceless. If we end up selling thousands, you can official prove you have number 7 or number 55 or whatever. Thoughts? Denny: That’s a nice touch! In the past I’ve seen creators do stuff like that as limited reward levels, but since you’re looking to number the bags 1-200, it makes sense that backers 1-200 would get it. It’s possible that some of those backers will support the project at less money than they need to spend to get the game, but probably (hopefully) most will get the full game. Well I was actually thinking of having a separate rewards level for the numbered bags, the price would be the same as the standard level to get a game…basically, an early bird with a non-monetary incentive. Great insight Jamey. I was thinking if that situation happened, baker 6492, would automatically be added as backer #200 of the special edition set pledge level. Is that wrong or would Kickstarter place them at the #59 spot? It was also my understanding that as the campaign creator I’ll be able to see the name of each back as well as the time and date that they pledged…correct? Denny: Kickstarter won’t give them a backer number for that specific reward level, but you’ll be able to see the date pledged, so you could use that to assign numbers to them. These are all great ideas. Another idea that I have seen in the past that I thought was very interesting is offering a contest for day 1 backers. Basically anyone who backs your project on day 1 is entered to win some prize. Thanks Rob! That’s a neat idea, though I suspect it violate’s Kickstarter’s rules about contests and giveaways. Rob: Ah yes, I think you’re right about that. Thanks for clarifying! Great stuff! Obviously, this is covered in greater detail in your book, but this is a handy primer for folks venturing into the world of KS projects. With few exceptions, we included many of the ideas listed here (save for Early Birds) and it proved successful. One thing I need to do for our next KS is write individual e-mails…yes, it takes longer, but the personal touch goes a long way. Joe: The personal notes are great, especially for a first project, though they can be tough to maintain as your company and projects grow. Hey Jamey, great post. :) I’m sitting on Day 10 right now, and hopefully can glean some info out of what I did. I think the points you make in 1 and 2 are the most valuable of the lot. Or at least the most relevant to my campaign’s Day 1 results. Creating a project from Australia as a first-timer, I knew it would be difficult to fund! (Right now, about 50% of my backers are from US/Canada, while only about 10-15% are from Australia. So lacking the “presence” in the US doesn’t help.) I wanted to hit 50% of my target within the first week, to make sure I’d fund by the end of the campaign. *** Having an eye-catching thumbnail image with irregular edges (I think drew the eye of many scrolling past the KS page), and listing price and shipping friendliness on the image (ending in a 9). 50% of my Day 1 backers were from that 12 hour “newly launched” page period, and after slowing down on Day 2, we just barely funded within 48 hours. Yet within 1 hour of hitting the “recently funded” page, we were up another $2k. So being on those pages (or trending on anything, including Kicktraq or being featured on Daniel Zayas’s “10 Kickstarters to look out for”) can be a huge boost to funding. *** Demoing at conventions, gathering names on a mailing list, inviting friends and family, and creating a Facebook event to celebrate the launch. I also made it clear to my Australian backers (who I had met at conventions and gaming groups) that backing Day 1 would be the best way to ensure the project succeeded. Of the 150 Australian backers I have on Day 10, about 90 of those backed on Day 1. What’s more, 66 of my backers are from my home city – so I am almost certain those are my friends, family and people I met at conventions who loved the game. *** Sending the game to multiple reviewers. I send Lucidity to 12 reviewers, and on Day 1 all of those reviewers put their reviews up online. This led to a saturation on that first day across all channels. 11 of my backers (1%) have come to my page from YouTube. So while it did not pay for itself, it paid for half of its cost and probably got my game’s name out there. Plus the overwhelmingly positive reviews contributed to a sense of “safety” in whether the game was good. *** Investing in a “lead up” campaign on social media. I have a very active social media presence on Instagram, because I love games with cool art. I also only have five pieces of artwork in my game, and four interesting dice. So each week, in the five weeks before I launched Lucidity, I put up a picture of the dice and one of my artworks to Facebook and Instagram. I invested pretty heavily in the art and graphic design for my game, and I shared those posts to the different board game groups on Facebook that allow sharing (checking the rules – for instance the BGG group only allows one post per month, while the Board Game Spotlight group allows you to post as much as you want as long as you aren’t spamming them). I paid about $20 whenever Facebook offered a good deal to boost those posts into Sponsored Facebook content. Sharing them on the groups got about 2,000 views per post, while sponsoring them boosted that to about 5,000. I think this was helpful in building up a pre-launch hype and creating multiple “touches” (to use the uncomfortable marketing term) on my target audience. But it also established which of my pieces of art people were most attracted to. (I stuck the red Nightmare of Primeval Fear into my first piece of art on the campaign page because it was the most responded to out of my four.) Who can say what effect this had on numbers, as it probably just compounded into the other things. But it didn’t hurt! *** Putting a free-to-play copy up on Tabletopia. I linked this to my Facebook page with the “Play Game” button, and got about 5 hits per day in my lead-up campaign. As a side-note, this has been quite successful during the campaign in allowing players to try out the game and see if they liked it. I’m pretty darned confident that my game is fun, so I was happy to let people try it out digitally. I’ve had at least three backers specifically mention that they played it on Tabletopia first, before backing. *** Posted in the BoardGameGeek forum on Facebook. While this technically happened on Day 2, 14 of my backers found me from that post. I’ll be sure to post again in the last couple of days, as it will be a new “month”. *** Creating a Work in Progress thread on BoardGameGeek. I’m not sure whether this was helpful to Day 1 success, but it helped set the game up beforehand. I had maybe 2 subscribers from this. *** Being active with my backers on Day 1, answering questions and responding to suggestions. I don’t know how much this contributed to Day 1 success, but I like to think it has kept some people from withdrawing their pledge, and the activity has helped show it is a “living” Kickstarter, even now that we have hit the mid-campaign slow period. Shannon: Wow, this is spectacular! Thank you so much for sharing. Out of many great details you shared, one big example I like is that you coordinated a simultaneous project launch with many of the reviews and previews about the game on other channels. Sometimes I see creators waiting to launch any reviews until a few days after launch, and I generally think that’s a mistake. I think there is something to be said for being mentioned every day (and I know you promote that too), but I also agree that launching reviews on Day 1 (whether podcast, YouTube, Instagram, Twitter, Facebook or blogs) can help a new publisher look reliable and “established”. Shannon, that’s an impressive list of actions taken on or (mostly) before Day 1. Good to see that it’s paying off for you. Folks, if you click on Shannon’s name, you’ll be taken to the KS for Lucidity, and see that it funded within 48 hours.